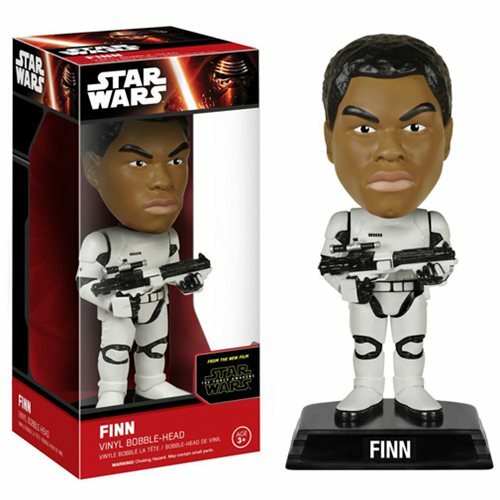 From Star Wars: Episode VII - The Force Awakens comes Finn in Stormtrooper armor as a bobble head! A trained warrior desperate to escape his past, Finn is plunged into adventure as his conscience drives him down a heroic, but dangerous, path. This Star Wars: Episode VII - The Force Awakens Stormtrooper Gear Finn Bobble Head measures approximately 6 1/2-inches tall with decorative Star Wars stand. Ages 3 and up.